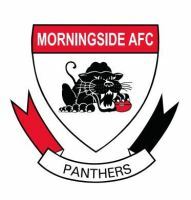 Morningside Australian Football Club lost a very loyal and reliable member recently when Allan Hunter, 66 of Tingalpa, untimely and very suddenly, passed away from cancer. 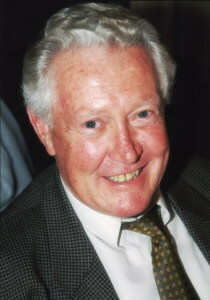 Allan was an important member of Morningside's 1967 Reserve Grade Premiership team and maintained a lifelong interest in the Panthers following the senior teams' fortunes from the Jack Hawkins' Bar, usually with a quiet ale or two with friends and past players. At 180cm and powerfully built, Allan played as a ruckman from under 16 level through to A grade when Morningside had some very good teams in the mid sixties. During the torrid Grand Final win of '67 Allan received an injured eye and was admitted to hospital straight after the game. That did not stop his team mates from sneaking a few stubbies into his room, so he discharged himself the next morning, went back to the Jack Esplen Oval home ground and wasn't seen at his home for another four days. Allan was a quiet achiever, proud to be a wharfie for 30 years. He often finished a full night shift and could be found at Morningside's home ground the next morning mowing the oval. One of Allan's proudest achievements at the club in the mid sixties was when he was very fittingly awarded the Best Clubman Trophy. Allan is survived by his wife of 42 years Barbara, his sons who both played for Morningside juniors in Todd and Drew and their respective partners, Samantha and Maria. He loved his grandchildren - Lola, Evie and Ari - and when he learned of the full extent of his illness, he said to wife his greatest regret was that he would not live long enough to see his grandchildren grow to adulthood. Allan was a devoted husband and father, a loyal friend and a damn good bloke who will be sadly missed.